Response: Discard Dunedain Watcher from play to cancel the shadow effects of a card just triggered. 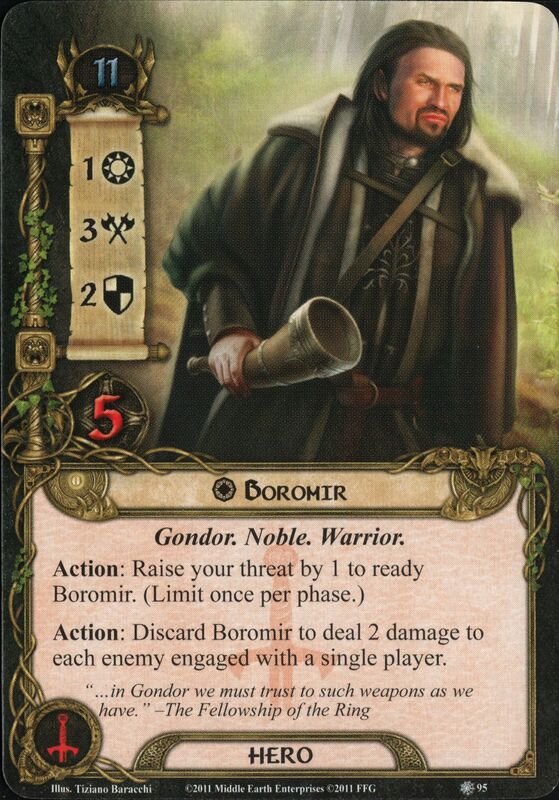 If Gollum ever has 8 or more resource tokens on him, shuffle him back into the encounter deck. 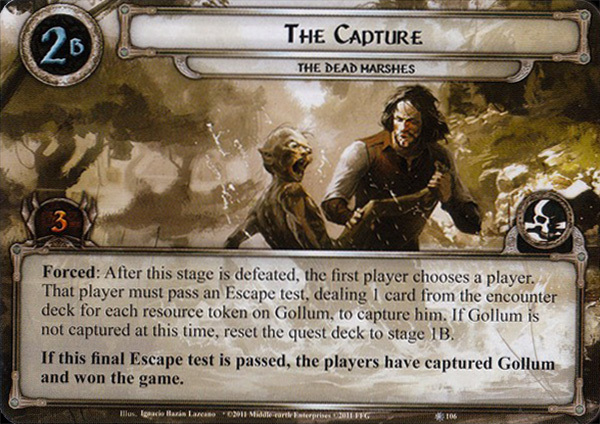 Forced: At the end of the quest phase, the party must make an escape test, dealing 1 card per player from the encounter deck. 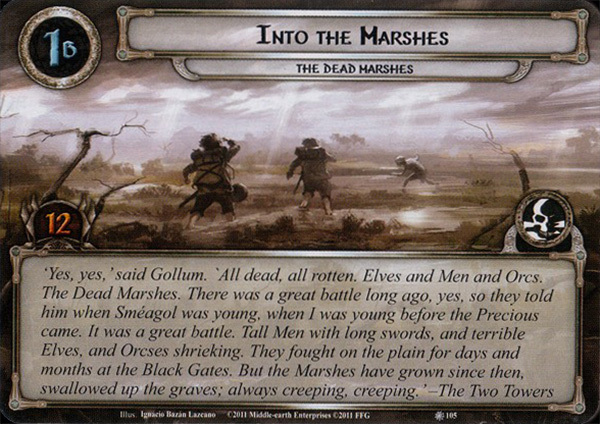 If this test is failed, place 2 resource tokens on Gollum. 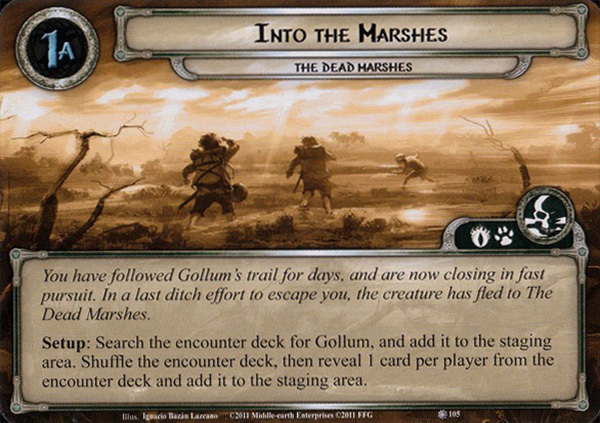 Setup: Search the encounter deck for Gollum, and add it to the staging area. 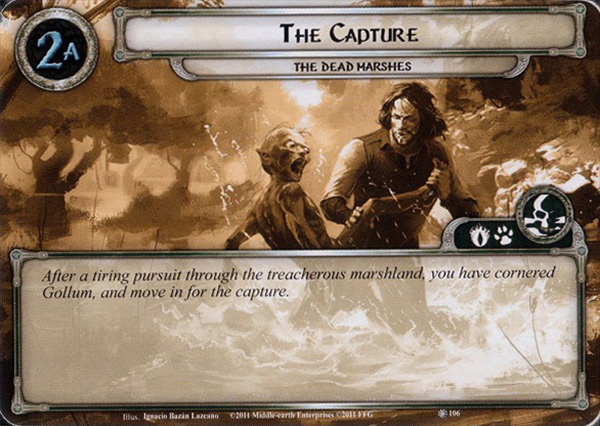 Shuffle the encounter deck, then reveal 1 card per player from the encounter deck and add it to the staging area.